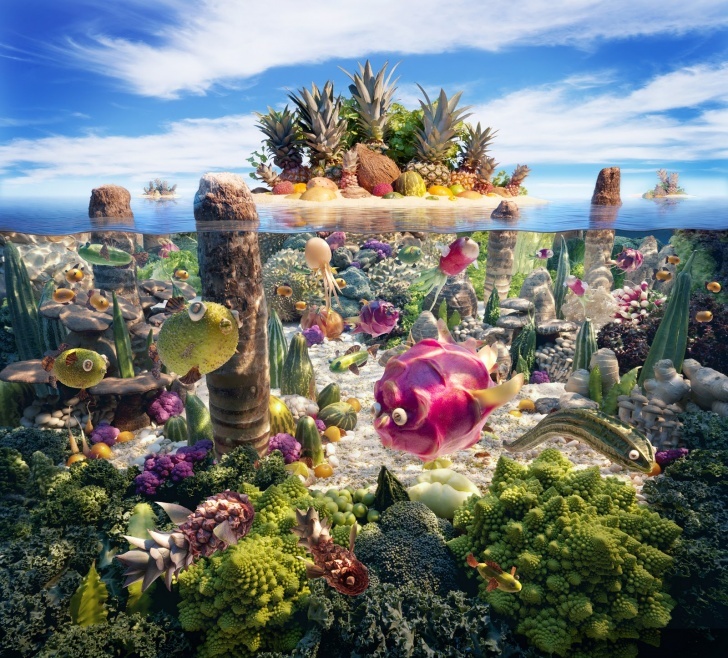 Coralscape | 10 Amazing Pictures Made Of Food! This fantasy island has fruit fish, coconut rocks, okra corals and pineapple trees. Amazing rave of color! Sweety! Where is My Potato? Be Careful While Driving So Fast!